SUPERHUMAN- Is your focus shifting? | Precious Thoughts! SUPERHUMAN- Is your focus shifting? I had wanted to write down my reflections on this subject, Focus, much earlier today, albeit in a less academic manner. Armed with my writing materials, the internet and my accumulated thoughts on the subject, I started in my normal manner of writing, one which seems to have become a pattern over the last few years for me. OK, I needed to check up a few definitions on the internet- a pretty much linear requirement for the modern-day writer, very harmless. I go on the internet, but almost immediately an urgent email comes up on my smartphone (don’t we all love those techy distractions!) that required an immediate reply. I start to reply, but then I remember I have to make an urgent phone call to a colleague. I place the call to the colleague and soon enough, while on the phone, a friend sends an ‘instant message’ to me via Facebook asking if I was interested in a new business idea he had (of course I was!). And then, we start an impromptu business chat. Suddenly, perhaps by no conscious compulsion of mine, I had completely lost focus of the original reason why I had entered into that writing atmosphere- which is to write. Don’t we all go through instances like this daily? Procrastination has been described as the ‘worst’ kind of thief to anyone on this life’s journey, a thief of time, by many philosophers. Well, if procrastination is a ‘thief’, then perhaps I would describe the centre of interest or activity, hence the ability to lose focus, as a co-thief alongside the bad habit of procrastination. And from the verse in the Bible above, we can see that it has had a historical vice-like grip on humanity. In Genesis chapter 2, Man and Woman were shown trees in the Garden of Eden, which they should eat from and then a particular tree in the Garden which they were instructed not to eat from. The focus, was to be on the trees in the Garden which they should eat from, to satisfy the universal human need arising from hunger. It was that simple an instruction. However, in Genesis chapter 3, the focus shifted to the tree that they were not to eat from. The woman, Eve focused on the wrong tree so much that she then saw some ‘qualities’, which she had previously not seen when she had her focus on the trees that she was allowed to eat from. Gen 3:6, tells us that she then saw the bad tree as (a) good for food (b) pleasant to the eyes (c) a tree to be desired (d) a tree that could make one wise (e) a tree that contained fruit good for sharing and giving. Five previously seen ‘qualities’ of a tree, which was not where her focus should have been. She focused on the wrong item for so long, dwelled her mind on it, her mind convinced her that the tree was actually ‘good’ and she ate its fruit, thus ultimately loosing focus and losing her position with and in God. Now imagine if she had not dwelled on the wrong item? She probably would not have seen any ‘qualities’ it had. She probably would not have eaten the fruit thereof and she probably would not have lost focus ultimately. That is the same thing that happens when we allow side distractions and side attractions to swerve our mind from what our mind was ideally focusing on prior to their arrival. Our mind convinces us that there is some gain in the distractions and attractions; our mind perhaps gives us beautiful scenery of these gains and convinces perhaps the most brilliant of us, that we could actually multitask. We pursue those distractions and side-attractions and it tempts us further, with more beautiful offerings. More often than not, those distractions ends up as distractions and the real purpose we had for the day does not get achieved. We continue the next day, and once again, the cycle of distractions continuous, like a macabre vicious circle. How do we deal with staying in line with whatever one is pursuing and not losing focus? Well the first step is by admitting that there is the tendency for us to loose focus. Unlike what Hollywood movies tell you, we are not superhuman. 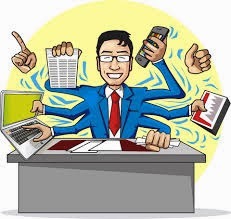 We cannot deal with a primary aim, project or assignment while dealing with distractions around and expect to deliver successfully on all fronts. No, life does not work that way. Hence we should know our priorities and convince our mind that what is the priority for that moment, takes precedence over others. Then the next step is to shut one’s mind towards those distractions. Like in my earlier example, shutting my mind of those distractions would have been simple actions like shutting down all social media avenues, putting the phone on silent and making simple plans to complete those other actions only after I had worked on what is my priority. Usually the mind works faster and more effectively when it focuses on subject, remembering that the start-up of other projects depends on the successful conclusion of the present one. Efficiently, and effectively, the task is done and the project is completed, focus kept in position. It is less difficult than we think. And yes, that was what I did, hence I am able to write and finish writing. I hope this helps and this presents you with perhaps a different and more effective way of keeping the mind and body focused on a task, away from distractions. Eve made a perhaps, fatal mistake as she could not keep herself focused on what was right, what was needed. If she had been focused on the good tree, maybe life would have been different. Just, maybe. 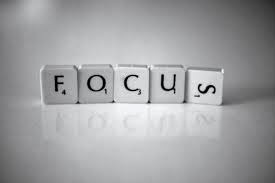 For now, this small piece is written to help make sure our minds are focused on tasks they should be focused on, and the influence of distraction should be limited if not thoroughly negated. I hope this helps. And yes, I am on to my next task- thanks for reading! A young Engineering Professional, Analyst and Writer who loves God.